Within 250 miles of Camas, WA. 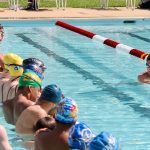 Get ahead of the competition at this High Performance Swim Clinic focusing on teaching you the proper technique for FASTER turns, breakouts, and finishes. Work with Olympic gold medalist Tyler Clary to learn the drills and skills to improve. 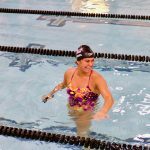 Blast off the block, get through the turns, and dolphin kick past the competition at this swim clinic designed to help swimmers improve upon the key details that are essential to swimming fast and improving your times. Olympic gold medalist Klete Keller will teach all participants the drills that he practices to master these skills. TURNS: Learn to carry your momentum through the turn to get ahead of the competition every wall. TYLER Clary has an Olympic gold medal due to his discipline and focus when executing a proper flip turn. Practice drills and exercises to help you master this athletic skill. BREAKOUTS: Carrying the speed from your underwaters into the first stroke cycle is crucial for maintaining momentum. Learn the key components of a breakout that will make you more confident during a race! FINISHES: The key to winning close races is proper finishing technique. Accelerate into the wall keeping your head down and your strokes long. Tyler will help all swimmers learn how to get their hand on the wall FIRST. ASK QUESTIONS: Swimmers and parents are invited to ask Tyler questions during a Q&A session. Gain insight into their training regimen, diet and nutrition, and recovery tactics. WATCH THE CLINICIAN: Observe Tyler swim at full speed and demonstrate a progression of perfectly executed drills to achieve powerful, efficient and fast swimming.